I have always found the book of Revelation to be a fascinating read. It presents the Bible student a challenge of understanding and interpretation. I was therefore excited when I realized the Adult Sabbath School Quarterlies chose this book as this quarter’s lesson study. I have decided to pen weekly reflections on the subject. I plan to do so while attempting to do a comparative study with the 1989 study on the same topic. The 1989 study was under the caption Present Triumph— future glory. From the definition of Revelation as an apocalyptic prophecy, the author of the lesson zoomed in to teach us how the book reveals “in broad strokes the closing events of the great conflict between good and evil”(Battistone, 7). Like this Quarter’s Sabbath School, the 1989 lesson still emphasized that the theme of the study is centered on Christ. 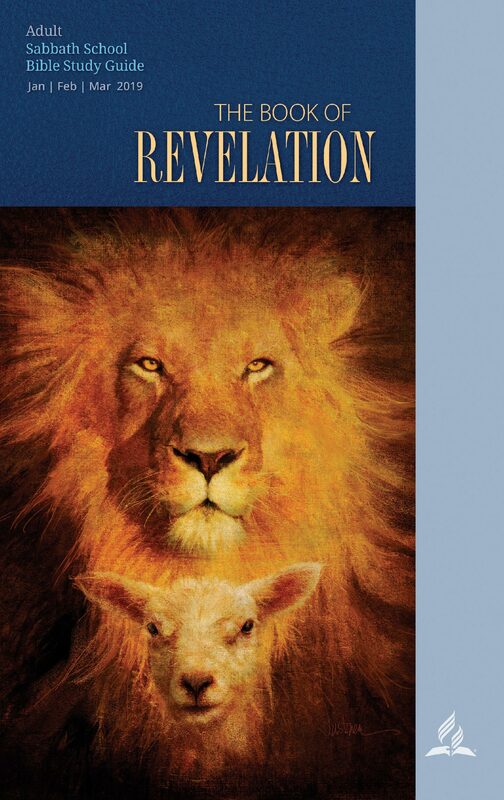 I think like many Adventists, I had not read the book of Revelation with Christ as the center. My focus reading the book of revelation had been the nagging questions: is this prophecy about the past, the present or the future? Like many, the fascinating beasts and the symbols replete in the book were enough to take away my mind from the Essence. It is refreshing that this quarter’s Sabbath school begins to bring us to the understanding that the book “reveals Jesus Christ, His Life, His death, His resurrection and His high-priestly ministry in behalf of His people” (Stefanovic: 2019). John sought to make this unambiguous by giving us the full title of the book; “The Revelation of Jesus Christ” (Revelation 1:1). If we come to understand that Revelation —apokalupsis—means unveiling or uncovering, it is then and only then that we will “uplift Jesus as the Center of all hope the Root and offspring of David and a bright and morning star” (White, 118). The book will thus not be seen as a scary forecast of things to come but instead presents the assurance that Jesus Christ is with His people throughout this world’s history and its alarming final events. Revelation through its use of symbols reminds us that there is “nothing to fear for the future, except as we shall forget the way the Lord has led us, and His teaching in our past history.” (White, 196). Battistone, Joseph. “Present Triumph—Future Glory.” Sabbath School Lessons 1989. Ranko, Stefanovic. “The Good News from Patmos”. Adult Sabbath School Bible Study Guide 2019.